There are so many great witches in pop culture, they make the best characters. You have Sabrina Spellman, who showed us that high school is manageable so long as you have family, supernatural powers, and a snarky talking cat. You have Samantha Stephens from Bewitched who showed us that there’s nothing you can’t do so long as you don’t listen to your husband. And let’s not forget Dolores Umbridge, who showed us that we’ll never be the worst person on earth because she has already inarguably sealed that title for herself. Think of how much better life would be with witch powers. Boss giving you trouble? Banish him to the nightmare dimension. Waiter late with your food? Banish him to the nightmare dimension. Boyfriend forgot your birthday? Well, don’t be too harsh on him, because we’re all human -- but just to be safe maybe you could BANISH HIM TO THE NIGHTMARE DIMENSION. It’s going to get crowded in in the nightmare dimension, you better send some folding chairs there too. Last thing you’d want is for the nightmare dimension to be unpleasant. 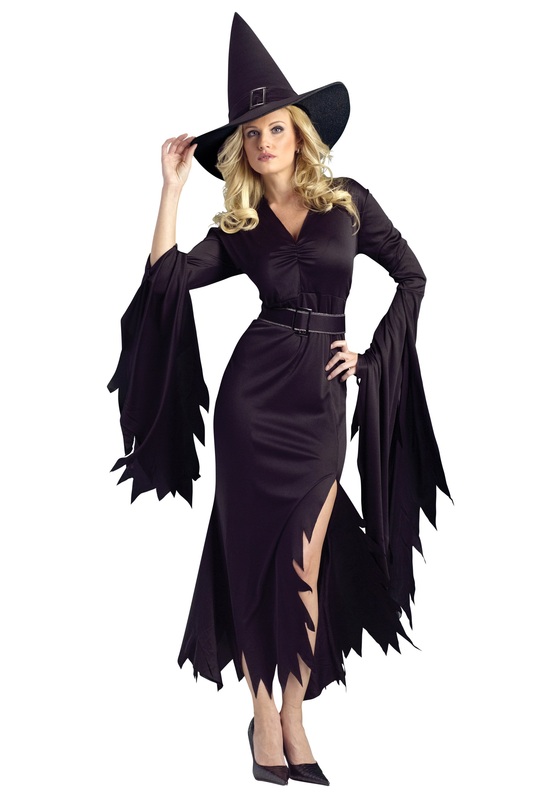 We can’t give you supernatural powers, but we can do the next best thing with our Gothic Witch Costume, and that’s to make you look spooky good. The long jagged sleeves will flow behind you while you walk, and the sheer fabric won’t make your alluring curves a mystery. But what’s a witch without her classic pointy hat? This ensemble is positively enchanting!